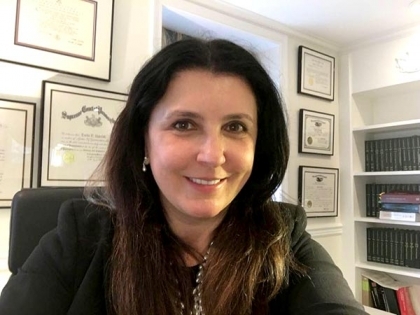 Risoldi Law Offices: Providing individualized attention to your legal needs - Times Publishing Newspapers, Inc.
Carla V. Risoldi has dedicated her legal career to serving the needs of this community. She was an Assistant District Attorney in Bucks County, and has been practicing law in this county since 1991, founding Risoldi Law Offices, LLC in 1994. “I offer my clients a different law firm experience,” describes Carla. “As a solo practitioner, I handle every one of my cases from start to finish. So, when you come here, you get me and only me. I will not be handing off your case to another attorney. Carla’s concern for her clients is evident by the way she reaches out to them. It’s not unusual for her to contact a client during or after business hours if she suddenly thinks of a creative solution to a legal problem. In addition, she prides herself in being accessible to her clients. She offers evening consultations to accommodate people’s busy schedules. She is also virtually always available to clients by e-mail. Carla is skilled at understanding complex legal problems and developing effective strategies for resolving them. She practices general practice law with an emphasis on family law (divorce, custody, support, protection from abuse, grandparent rights) and criminal defense (including intoxicated driving defense, juvenile court, drug offenses, summary matters, misdemeanors and felonies). In addition, she is also experienced in handling cases involving driver’s license suspension issues, wills, personal injury and automobile accidents. Although Carla prefers to resolve disputes out of court in order to reduce time, money and anxiety, she is prepared to fight for her client in court when necessary. In those instances, Carla states, “I work closely with my clients prior to litigation so we are ready, willing and able to proceed to court with the confidence of knowing that we are fully prepared to present the best possible arguments to the court. Carla is licensed to practice law in both Pennsylvania and New Jersey. Contact Carla at her main office, located in her beautiful 1698 stone building at Trenton and Durham Roads in Langhorne, by calling 215-741-3700. For more information, visit www.risoldilawoffices.com.